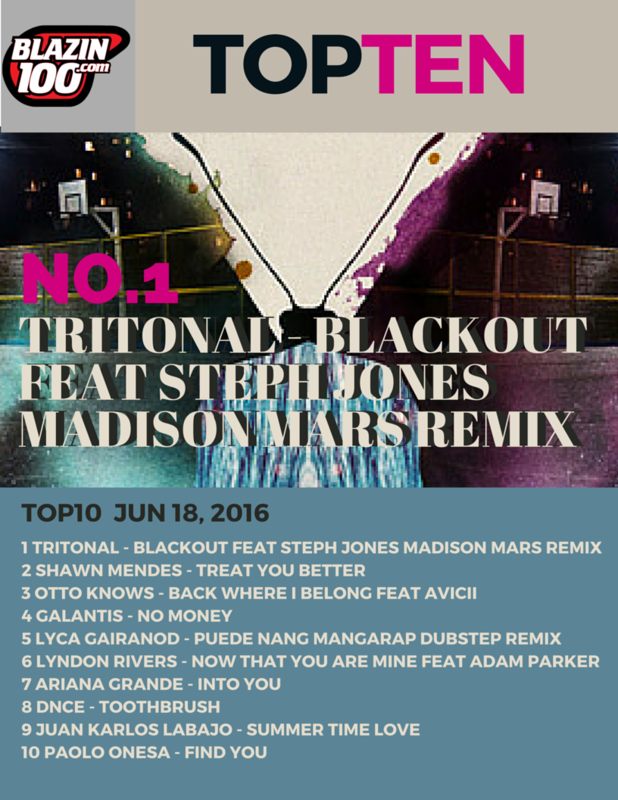 Advisory: Blazin100 thanks you for being part of the weekly Top 10. After June 25, 2016, we will no longer be accepting votes for the top 10. The results for June 19-25 will still be tallied and be released next week. Your support means a lot and we will continue to help artists.